Enjoy all the benefits of arriving early combined with a streamlined booking process. We can easily add a pre-night stay to your existing itinerary and even reserve tickets to your host city’s best attractions. When you begin your tour, you’ll have had a chance to get to know the destination a bit and begin your tour rested and ready to go. Lingering a little longer in the world’s best cities is never a bad thing! Collette can add a post-night stay to your itinerary along with tickets to area attractions. Stick around a while and see those extra things that you’d like to explore. Why not add an extra day at the beginning and the end of your tour? than enough time to explore on your own at your own pace. 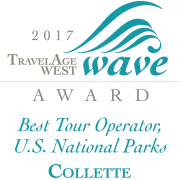 In addition to optional pre-and post-night stays, Collette provides you with many opportunities to extend your tour to a new destination so you carry on the adventure just a few days longer. Our list of tour extensions reads like a logbook of great adventures that you can add before or after your tour, with just a sampling shown below. Visit our tour pages to see which extension options you can choose from each tour. "When my wife and I booked our Exploring Britain and Ireland tour, we were thrilled to learn that we could extend our tour to include an extra 3 nights in Paris. We traveled all that way to see Europe, how could we skip Paris? We are so glad we chose this option. It just wouldn’t have been the same without seeing the City of Light!"